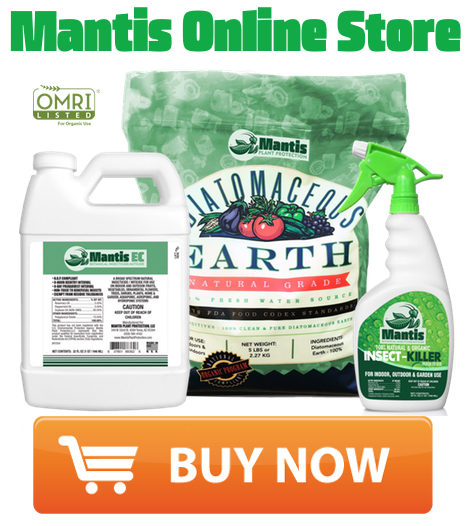 You may be a grower who has already used Mantis EC or perhaps you’ve found this page in search for an effective organic insecticide/miticide and are thinking about using Mantis botanical pesticide products. 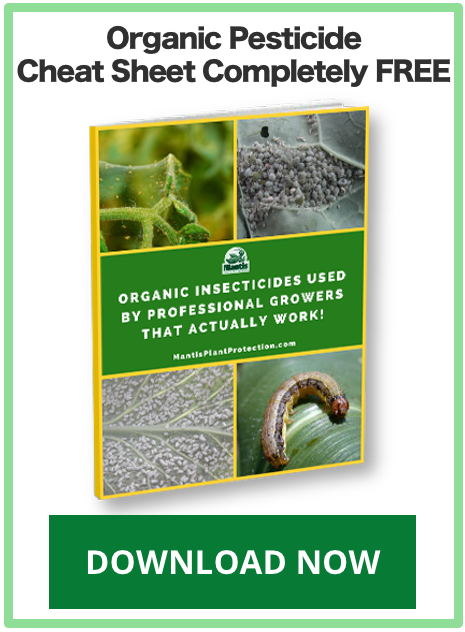 In this post, I want to break down how Mantis EC is formulated and manufactured to provide past, present, and future growers a transparent view of the insecticidal power behind Mantis EC and what makes it such a great organic pest control tool for soft bodied insects and spider mites. If you’ve ever handled pure rosemary essential oil, then you’ll know just how potent this stuff is. And it’s natural potency is what makes it such a great natural insecticide. 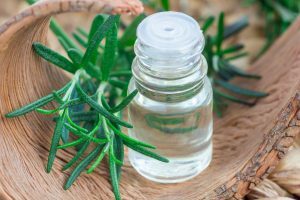 Rosemary oil has proven to be a very effective repellent, fumigant, and contact insecticide against a range of insect and spider mite species. And it’s natural toxicity and repellency comes from it’s complex chemical composition consisting of cineole, pinene, camphor, limonene, and various other highly active compounds. Similar to rosemary oil, peppermint essential oils are chalked full of complex chemical compounds that give off a strong smell that many insect pests find irritating. Not us humans though… the peppermint aroma that persists hours after application smells GREAT leaving plants “so fresh and so clean”. 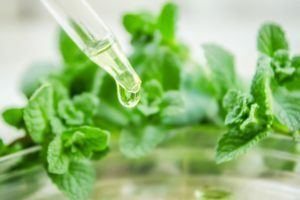 Although peppermint oil provides repellency with it’s strong minty aroma, it’s also an effective contact insecticide/miticide. With the advent of genetically modified row crops, you probably didn’t even think there was any non-GMO soybeans left in this world. 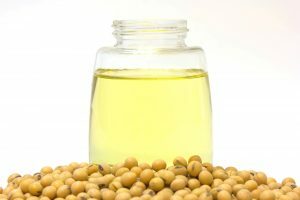 There’s not a lot and it’s more expensive, but I was able to procure a high quality source of natural, non-GMO soybean oil for this one of a kind Mantis formulation. And for being an organic insecticide, I’m proud to provide grower’s a product that consists of 100% natural ingredients. 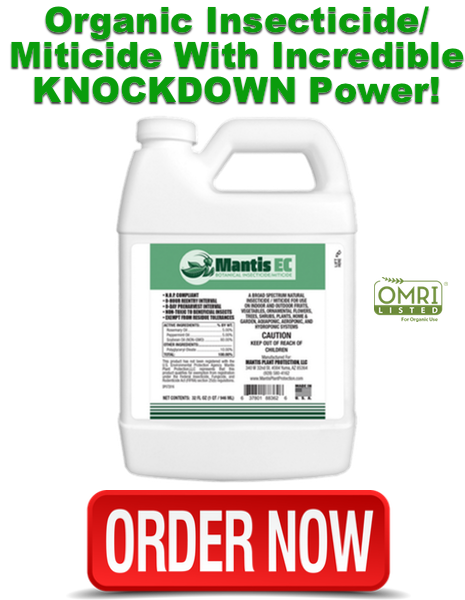 Soybean oil is a powerful contact insecticide/miticide that provides Mantis EC with much of it’s rapid “knockdown” efficacy. 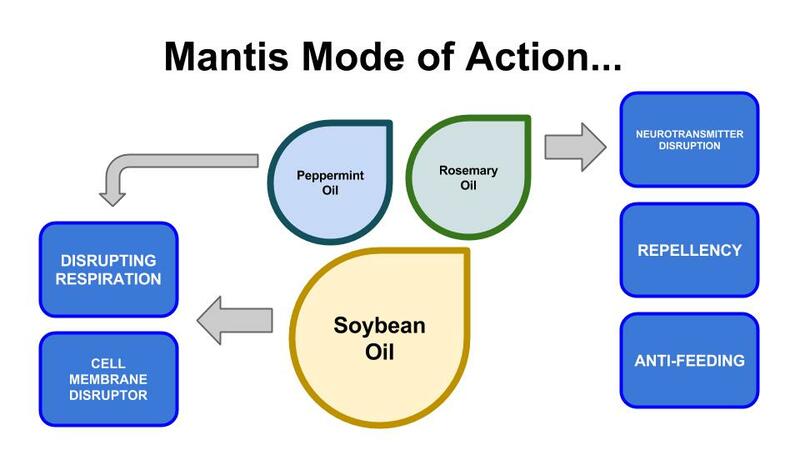 Rosemary, peppermint, and soybean oil makeup the entire active ingredient profile of Mantis EC and Mantis RTU. Working together in unison, these natural botanical oils provide quick, knockdown control smothering insects and spider mites by clogging their spiracles (breathing spores) and breaking down their outer cellular membranes resulting in a rapid death. But that’s not all they do, the strong scent of the essential oils of rosemary and peppermint function as neurotransmitter disruptors which confuses and repels insects from feeding on your plants in the first place. Below is a simple diagram I like to use that encompasses Mantis’ insecticidal modes of action but click here to learn more about how Mantis EC works and how to use it. There’s a reason why we call it Mantis EC. 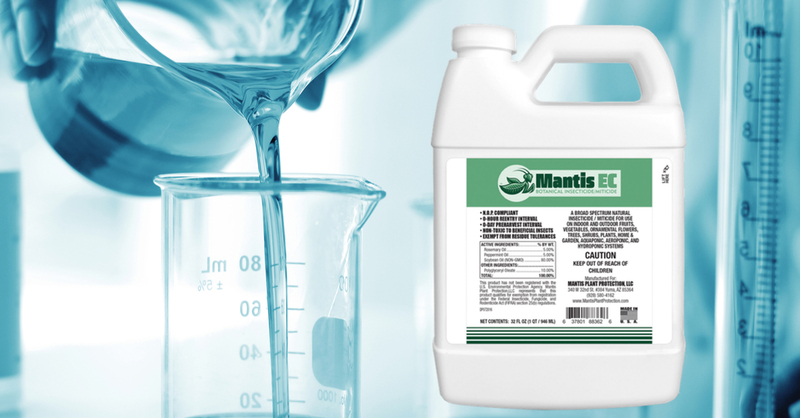 EC stands for Emulsifiable Concentrate and without this feature, all the active ingredients in Mantis wouldn’t obtain good, even coverage and work as well as they do. As you’ve probably learned in science class at some point, oil and water do not mix well together. In order for the two opposing chemistries to come together in a homogenous solution, an emulsifier must be added to the formulation. 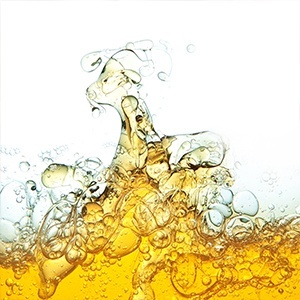 Polyglycerol oleate and various other inert ingredients are powerful natural emulsifiers that enables the botanical oils of Mantis EC to mix well with water providing a homogenous spray solution. 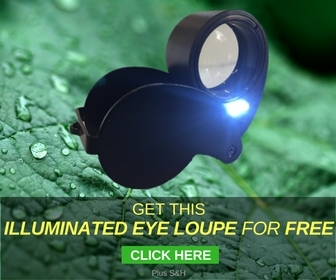 This feature is crucial to easy handling, good coverage, plant safety, and ultimately much better pest control. 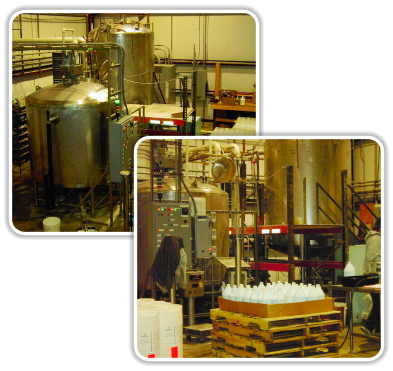 The last and final key to Mantis EC’s complete superior pest control and quality package is the manufacturing process. All active and inert ingredients are essentially fused together using an advanced blending system that tops of the entire formulation process. This vigorous blending that the ingredients are subjected to for hours, transforms all ingredients into one, single chemical profile that ensures uniformity and consistency in every single bottle. After production, each batch is analyzed for the concentration of each ingredient just to double check that every bottle is the same and contains exactly what we say they do. An important point to make about Mantis and the manufacturing process, is that all ingredients and processes have passed strict guidelines under the National Organic Program. And this is why Mantis has OMRI (Organic Materials Review Institute) certification and is legal to use on certified organic farms and production. P.S. 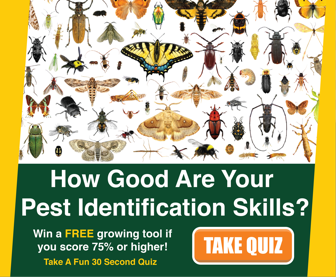 So have I successfully convinced you how great of an organic pest control product Mantis EC is? If so, CLICK HERE for more specific information on how Mantis works and important use recommendations.